get some longhaired and some shorthaired Somali kittens. When we breed one of those longhaired Somalis to another longhaired Somali, we lock in the longhaired gene forever. We sometimes have shorthair kittens for sale as pets. 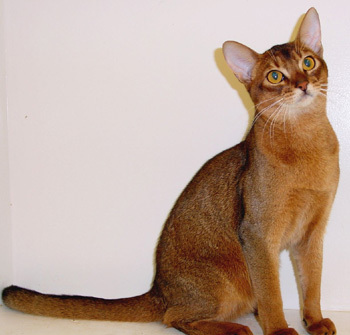 They are as gorgeous as a registered Abyssinian and they have wonderful temperaments, with that gregarious Aby/Somali personality!